"WHAT IS YOUR FAVOURITE MOVIE?" The Princess Bride top my favorite movie list. I can' quote the whole thing. The Quiet Man with John Wayne and Maureen O'Hara!!! Love it!!! I like Arsenic and Old Lace. :) Cute coin purse! The Princess Bride of course! As You Wish!! Hard to choose between Gone With the Wind and To Kill a Mockingbird. Count me as another Princess Bride fan! My all time favorite movie is Pride and Prejudice. Thanks! Love Actually - love that movie! Thanks, Carolyn, for the chance to win your coin purse. It changes but my favorite movie as of late is Best in Show. I just makes me laugh. It's got to be The Blues Brothers! Nothing is better for great music & laughs on a rainy or snowy day with some popcorn! 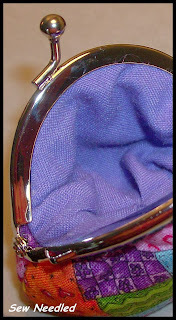 I really like this super cute coin purse...thanks for the chance to win! THe Dirty Dozen it has been my favorite since I was around 11 or 12. To Kill a Mockingbird is one of my top favorite movies. Sleepless in Seatle and at Christmas, Home Alone. Sheffey, is one of my favorite movies. My favorite movie is probably the old Top Gun Movie. Love this lil purse. it is fabulous. Thank you for the chance to enter. Sound of Music is a fave. 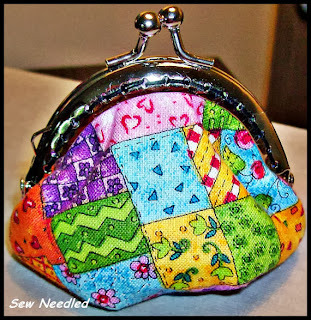 Cute coin purse--thanks for the giveaway! My favorite movie is A Knight's Tale--cracks me up every time. Oh, that's quite cute! I'm not sure what my favorite of all time is, but The Dark Crystal is definitely up there. So is The Princess Bride. My favorite movie depends on my mood! To Kill a Mockingbird if I'm serious, Mary Poppins is the first movie I remember seeing in the theater, The King and I always made me cry...those are my top three! Silver Linings Playlist is my most recent favorite movie. I also enjoyed Skyfall. Lovely purse, thanks! My favorite move is A Walk to Remember based on the book by Nicholas Sparks. My favorite movie is Singing in the Rain. Thanks for a cute give away! cute cute coin purse! thanks for the chance. My favorite movie has always been "the Labyrinth"
Love Actually is one of my favorite movies. It's not for the kids but it is so full of hope. The Princess Bride has been my favorite for years! Gone With The Wind.....love it!! A Room With a View, lovely film. Any Harry Potter movie! Thanks for the chance to win! I love Disney's "Beauty and the Beast." We ate at Beast's castle twice when went to Disney World in October. Oooh my daughter would love that cute purse! My favorite movie is "Up" - I love this one. Thanks for the chance to win. The purse is lovely, thanks for the chance! The Sound of Music...since its the first movie that I had seen with my late Dad. this time of year it's got to be Miracle on 34th St or It's a Wonderful Life. The American President with Michael Douglas and Annette Benning. I love "The Quiet Man", and I noticed someone above mentioned it, too! Super giveaway, what a cute purse. My favorite movie is Clue! too funny. Wow, so many of us are saying Princess Bride. I just bought a copy for my 1-y-o niece's Christmas present. Got to get her hooked early. Thanks for a lovely giveaway. You're Got Mail...my mom and I can watch this any time we are together! My favorite movie is The Incredibles . Hunger Games is my favorite. I normally don't watch one more than once but this one is a keeper!! I love the con purse! I love movies and there are a lot that I could watch over and over. One is called The notebook. I watch it every summer when I go to my trailer. Another one is Dirty Dancing and many more. Thanks for having a give away and the chance to win. Pretty Woman! Merry Christmas Carolyn! Wowie....love soooo many movies!!! lol Love My Big Fat Greek Wedding! & Mama Mia! Love the coin purse!! It's Awesome!!! The Sound of Music with Julie Andrews...love it! Darling little purse you made to giveaway! Easy! The Wizard of Oz! My favorite changes often but as of late, I keep wanting to watch "Braveheart" over again. Eeeek! Favourite movie? You know I don't like difficult questions. But after serious thought I think I am going to say African Queen. The original Bride of Franenstien is my favorite! I love your coin purse! I like too many movies, but this time of year I love watching Love Actually. The Lion King.Your coin purse is super cute! My favourite movie is Pride & Prejudice (the Keira Knightley version). Thanks for the chance to win this gorgeous purse! I just love watching Hunt for Red October.....I can run the lines of each actor along with them. Strange I know but it's Sean Connery after all. My fave movie of all is ELF! Dirty Dancing and Overboard would tie for my favorite movie. Pretty Woman. Thanks for the chance to win. Gone with the wind, thanks for the chance. You can contact me via my email. The Labyrinth! Gotta love Bowie in tights! ha! kids and i just talked about this this morning! Rise of the Guardian is probably my favorite kids movie...i love Dangerous Beauty too. i bought the book, but couldnt get thru all the historical mumbo jumbo...just like the story when it had b een romanticized! thanks for a chance. My favorite movie is The Princess Bride. Second would be Father Goose. Thanks for a wonderful giveaway! Where the Heart Is would probably be my favorite movie. Of course I am a big fan of Shrek as well, since I was deemed an ogre LONG before they made that first movie. :) Thanks for the chance to win!!! I must be a kid at heart...I really like my Harry Potter movies! Pretty Woman for me. Thanks for the chance at your giveaway. Haha! I bet you won't have heard of this one.....Random Harvest. A two-kleenex Ronald Coleman and Grier Garson oldie but goodie! :) Thanks for the chance to win! My favorite movie is A River Runs Through it! 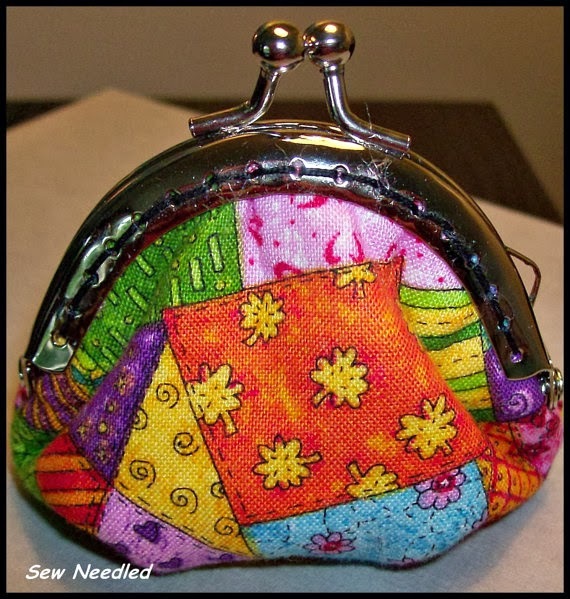 Cute little coin pouch and I need one! Thanks for the chance to win. Love Actually is my favourite. Raising Arizona is my favorite, I laugh all the way through it! A Scarf, A Loan & A Van? ?